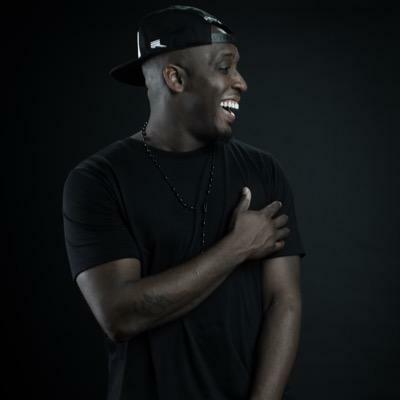 One of the best artists in Christian hip hop is Derek Minor. Arguably, he’s the most successful Christian rapper that is not on Reach Records. We talked recently about being independent, his record Empire, and his thoughts on Kendrick Lamar. Gabe: I have to get this question out of the way first. Very important question. We’ve interviewed KB, Trip Lee, and Tedashii. We asked them if they were the captain of a basketball team, their first pick would be Lecrae. They also went on the record of saying that you’re the biggest trash talker on the court. Derek Minor: Beyond the shadow of a doubt. There’s no question. Gabe: So you’re pretty confident in your game I guess. Derek Minor: Very confident, my friend (laughs). Gabe: That’s good! So, the Dove Awards just happened! And I know you were nominated for a few and you even won one with Lecrae. I love seeing that. Based off the success of Christian hip hop the last few years, what do you think is the next step in order for it to be even more successful? Derek Minor: That’s a good question. I’m glad you asked that. One of the reasons my deal with Reach Records was so short was because I wanted to build my own record label. I wanted to create something different. It’s awesome what Reach Records has created. It’s crazy to watch all the success that my brothers have experienced. But I think if you’re asking “what is the next step?”, I think right now there are people looking and they see Reach Records. And they’re like “Wow, Reach Records is doing well.” But they don’t see Christian hip hop as a whole putting up those same numbers. I think my album Empire was groundbreaking in the sense that I was the only artist that is independent that was nominated for a rap category Dove Award. I think what it’s gonna take for hip hop as a whole is you’re gonna have to see more independent labels putting up good numbers and also making a huge impact. I think that’s the goal with me for Reflection Music Group. I wanna grow something that is already on par with what’s already been built. I think there’s space for that, and I think it’s cool that God has already allowed that to start happening. Gabe: How much of a challenge is that after you’ve been with Reach Records after all that time…to leave that safety to become independent? Especially in the music industry today? Derek Minor: Well there’s no safety there. 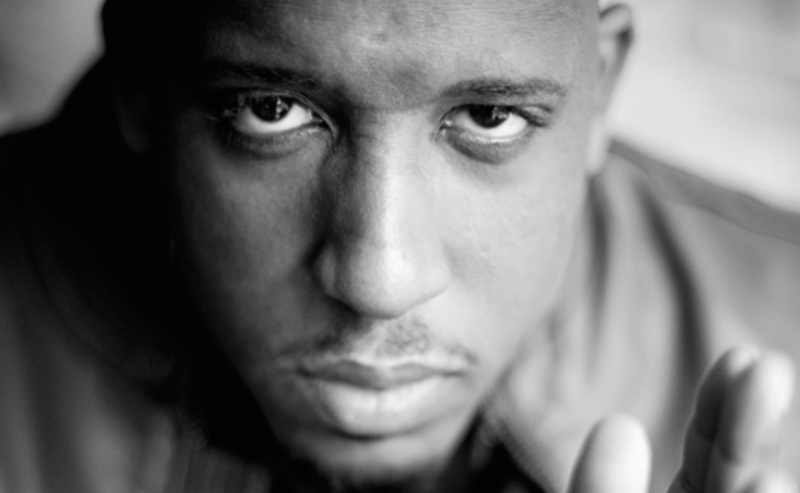 Just because it happens for Lecrae doesn’t mean it happens for everyone there. The opportunities that happen with Lecrae doesn’t happen with everyone. For me as an independent artist, it’s just business as usual. Now often times, doors are open just because of the affiliation. But at the end of the day, people connect and get behind who they want. In a way, not being with Reach Records has worked to my benefit. 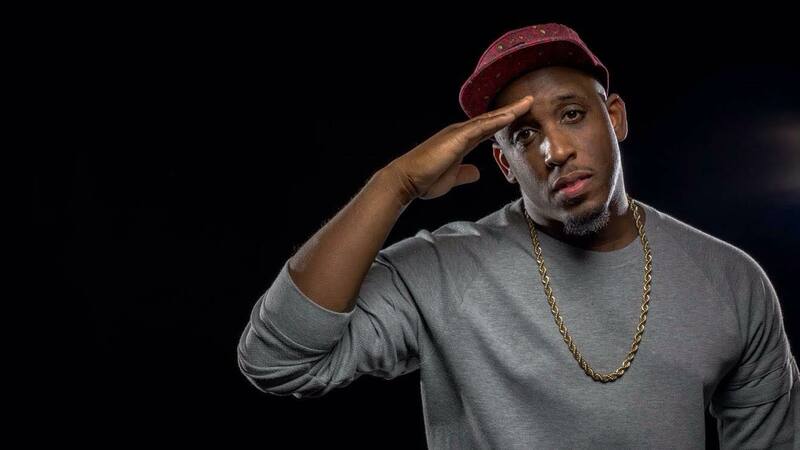 When people want an option outside of Lecrae and Reach Records, I’m one of the first people they go to. There’s some cool doors that have opened that maybe wouldn’t have opened if I was still at Reach Records. Don’t get me wrong though. I give a shoutout to Reach because they are doing amazing things. You can honestly say if it wasn’t for the tours, the mentorships, and some of the cosigns with Lecrae early on, I wouldn’t have a lot of these opportunities. I think it has a lot to do with how you’re built. I was built to be an entrepreneur. I’ve always wanted to own a record label. I always wanted to be an owner/operator. I never wanted to just be an artist. I wanted to be the owner of the label. Where I’m at right now is how I want it to be. So, it’s just trying to find ways to increase what we’re doing. To grow it to a level where: Step 1, we honor God. Step 2: We create a situation for people that may not be a good fit for Reach Records. But they may be a perfect fit for RMG. Creating something different where you have Coke AND Pepsi. Gabe: Speaking of the music itself, you just released Empire. I’m sure you’re working on new music as well. What’s been on your heart recently that you might hear through the lyrics of the new songs? Derek Minor: Man, it’s really hard to narrow all that down. There’s so much! The thing that I love about what God does is He doesn’t waste any of your circumstances. So, when I was building Empire, no pun intended (laughs), I went through a lot of stuff. My dad passed away. Canon got hurt. What that did was focus me to where I didn’t care about anything else but building God’s empire. I’m putting all my chips on God. I’m not putting any chips on my family or finances. That’s really where that album was built from. It was the desire to build God’s empire because I know it will last forever. I was looking at the things around me that were temporary and I was suffering loss in those areas. As far as right now where I’m at, I just dropped a new single called No Quit. Where I’m at right now is being on the other side of that. God has taken me to a different season. The song is for people that may still be in that season where they are suffering loss. The song tells them to keep going because there’s light at the end of the tunnel. There’s not always going to be dark times. There’s gonna be a day where there are good times. So it’s a song that hopefully encourages people to show them that God is trustworthy. You can put your faith in him. I can tell you from firsthand experience. Even if I didn’t have my experiences, I can tell you a fact that God is trustworthy because He gave his Son to die for us. And I don’t know one person that would do that for anybody. I don’t know anyone that would give up their child for one person, let alone a sinful and broken person. So, I can tell you for sure that God is trustworthy. That’s kind of where I’m landing right now. Gabe: With all the issues that are going on in the USA today with race, do you feel compelled to write about that as well? Derek Minor: Yeah. On Empire, I had a track called “Stranger”. Pretty much the whole concept behind it was: We should walk in one another’s shoes and not be so quick to judge. Be quicker to listen. For me, the most disheartening part about all of this is often times it’s not just the issues themselves. The issues themselves are terrible. But one of the more disheartening parts is every Sunday morning the most segregated time of the week is during church. I just think that for us as Christians, we have the message of the Gospel. The Good News. I feel like we have to be in the position to speak to reconciliation of man, to one another, and to God. For us as the church, we have the answer to the problem. The problem is not just racism. The biggest problem is we don’t look at one another and see image bearers of God. If I look at you and see God, I’m not gonna try to kill you. If I see God, I’m gonna have a degree of reverence. I hate when people look at me and say, “I don’t see your color. I don’t see a black man, I only see a human.” That’s a misstep. God made me black. He created me black. He made Asians and Hispanics the way that they are as well. The issue is not looking at someone and looking past their culture. When you look at someone and look past their culture, usually you’ll just give them your own culture. The key is to look at someone in their culture and in their differences and say: “God made you in His image. Your culture is beautiful.” So the key is not to ignore my blackness. It’s the opposite. It’s to see my blackness as good. And to love me no matter what my differences are. And we can’t get there without the Gospel. Gabe: One of the best albums I’ve heard this year is Kendrick Lamar’s new record. I don’t know what you think about that but… I wonder what the reception would be if a Christian artist put out an album like that. What do you think about that? Derek Minor: Well, I actually think you have artists that are putting out music that is very similar. You have John Givez who just put out his record. You have Propaganda who always tackles issues of that nature. You also have JGivens. We have an artist on RMG, Tony Tillman, who tackles issues like that. Often times within Christian hip hop, we don’t give a lot of attention to some of the artists that don’t have as large of a platform as others. So with a guy like John Givez, his new album is brilliant. His album is on par with anything that is out right now. I think we just need to give those artists a little more attention. We need to find some of these newer artists that are trying to shake things up. I’m a fan of Kendrick period. And the reason why is because he’ll say the stuff that people talk about in their break room or around the water cooler. But they won’t talk about it in music because that doesn’t always sell. So I respect anyone who does that. Guys like Propaganda, John Givez, Tony Tillman…guys like that, I’m a huge fan of. Gabe: You did talk a little bit about Canon before. I know you’re on tour with him right now. Is he fully recovered? Derek Minor: Yeah, he’s doing really really well. We’re on the Empire tour right now. His set is bonkers and people are losing their minds. I’d say he’s back 100%. Gabe: That’s so good to hear. Hey man, thanks for your time! Derek Minor: Thank you, my friend! This entry was posted in art, CCM, Christianity, hip hop, rap and tagged christianity, derek minor, dove awards, hiphop, jgivens, john givez, kendrick lamar, kickstarter, lecrae, music, propaganda, rap, reach records, rmg records, tony tillman. Bookmark the permalink.